This hike is fun for the whole family! 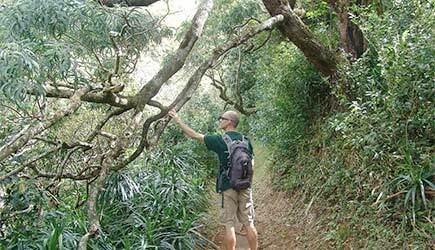 The Volcanic Rainforest Hike is an Oahu hiking adventure! You will hike along the slopes of an ancient cinder cone volcano and explore a lush native rainforest preserve. Experience sweeping views of O’ahu’s two parallel mountain ranges. Then soak in majestic tropical island views as you hike to a 600-foot elevation gain On the guided 2.5 mile moderate hike, you will meander through a native forest that is teaming with rare and endemic plant species. 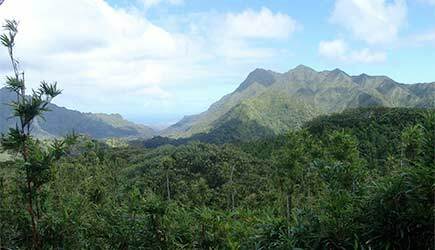 Enjoy the distant scenic views of both the highest point of the volcanic Ko’olau Mountain range (Konahuanui at 3150 feet), the highest point of O’ahu (Mt. Ka’ala at 4025 feet), Le’ahi (Diamond Head) volcano crater, Honolulu, Waikiki, Pearl Harbor, Kailua, and the beautiful Pacific Ocean. Gear Provided: Rain gear, hip pack, and mosquito repellent. Tour includes: Trail snacks and bottled water. Round trip transportation from Kahala, Waikiki, and Aloha Tower Marketplace. What to Bring & Wear: Dress comfortably and bring a camera. Wear sturdy shoes with good traction on dirt and rainforest mud. Restrictions: Above average fitness level required for this 2.5 mile one-way Volcanic Rainforest Hike. Note: Vehicles are currently not wheelchair accessible. The hike is full of rare and endemic plants! 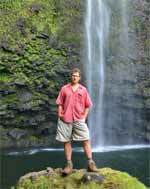 The Volcanic Rainforest Hike can work for cruise ship passengers who are arriving in Honolulu for the day. 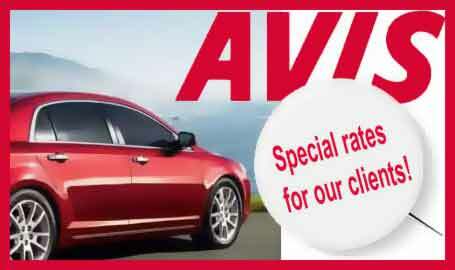 They pick up at Aloha Tower Marketplace which is close to the cruise ship dock. Call for details.